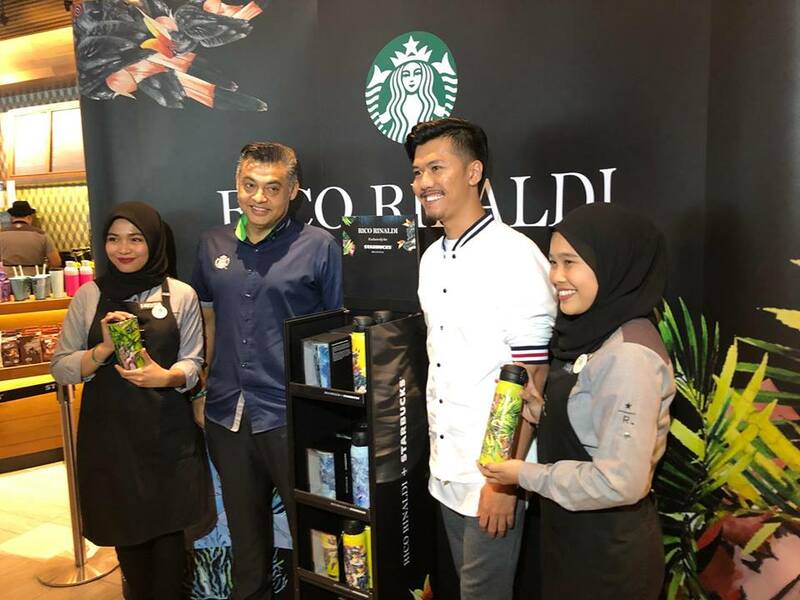 Starbucks announced its first collaboration with Malaysian designer Rico Rinaldi to offer a curated collection of exclusive merchandise to celebrate Merdeka. Designed exclusively for Starbucks Malaysia and available only for a limited time, the 2018 Rico Rinaldi x Starbucks® Designer Collection will be offered at Starbucks stores throughout Malaysia. 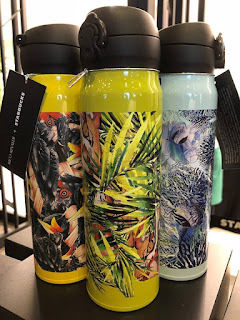 The merchandise draws inspiration from three endangered animals representing the elements of nature – Forest, Sea and Air in the form of a Harimau (Tiger), a Penyu (Turtle) and a Kenyalang (Hornbill). 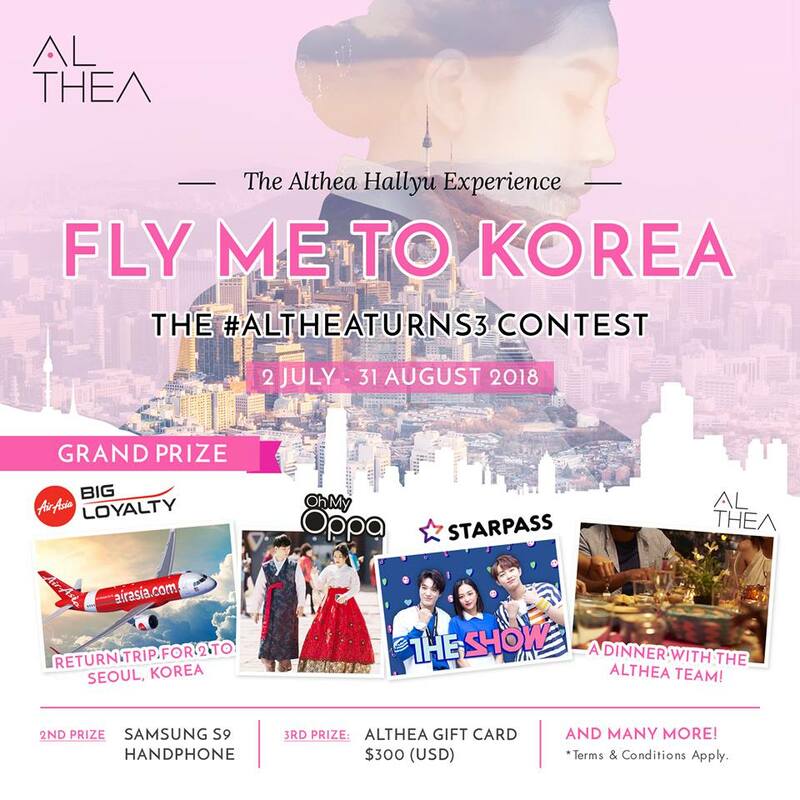 Bold colors that are reminiscent of Malaysia’s heritage, flag and the diverse flora and fauna help round out the designs. 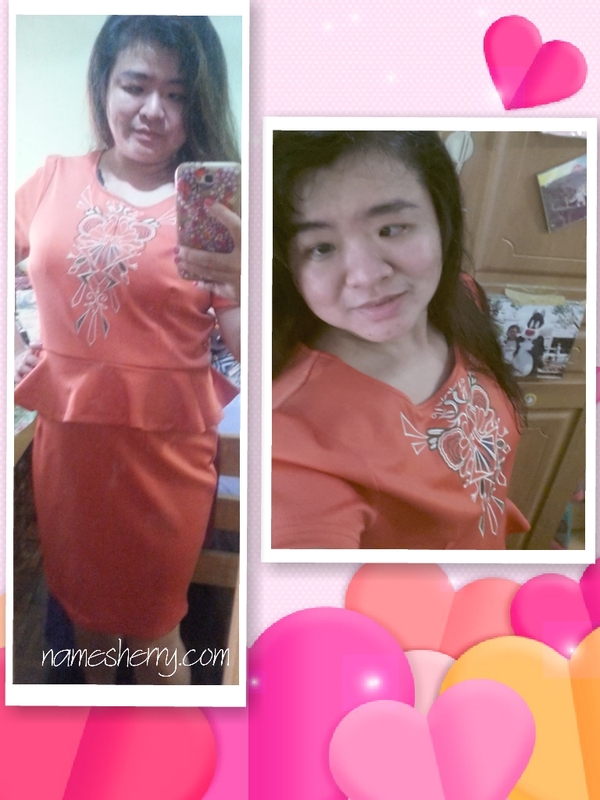 “Designing this collection, I was inspired by Malaysia’s rich nature. I am thankful for Starbucks for this unique opportunity to commemorate our 61st National Day, and I hope my fans and Starbucks customers alike will enjoy the collection,” says Rico Rinaldi, a well-known fashion designer in Malaysia for his nature-inspired collections and colorful floral prints. * Rico Rinaldi + Starbucks® Double Walled Mug (12 fl oz) – A ceramic mug with painted ceramic lid and gold detailing on the rim. * Rico Rinaldi + Starbucks® Thermos Tumbler (20 fl oz) – Thermos stainless steel tumbler with spill proof lid. Exclusive to Malaysia, the Rico Rinaldi + Starbucks® collection includes a set of Double Walled Mugs and Thermos Tumblers in three different designs. The Double Walled Mugs are priced at RM150 each, while the Thermos Tumblers are priced at RM168 each. For those looking to own all-three designs of the Double Walled Mugs, can purchase them in a bundle price of RM450 or RM480 for all-three designs of the Thermos Tumblers. This collection will be available from 31 August 2018 onwards at all Starbucks stores across Malaysia, while stocks last. Berjaya Starbucks Coffee Company Sdn Bhd is wholly owned by Berjaya Group Berhad and a licensee of Starbucks Coffee International. The company operates Starbucks retail locations throughout Malaysia and is committed to offering the world’s finest coffee while enriching Malaysians’ lives one cup at a time. Starbucks Malaysia is also proudly recognized as the ‘Best Premium Roasted Coffee’ and ‘Best Specialty Coffee Chain’ at the Asia Halal Brand Awards (AHBA) 2017. 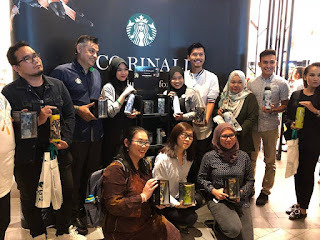 In 2014, Starbucks Malaysia has been awarded with the HR Best Practices Gold Award in the Malaysia Human Resources Award 2014 - organized by the Malaysia Institute of Human Resources Management (MIHRM). Starbucks Malaysia has been named as Malaysia’s best employer at the Aon Hewitt Best Employers- Malaysia 2015 Awards, receiving the title - ‘Best of the Best’. Aon Hewitt Best Employers Award is deemed to be one of the most prestigious awards in recognizing companies with high employee engagement, compelling employer brand, effective leadership and high performance culture. In 2017, Starbucks Malaysia was recognized in the Restaurant and Fast Food category at the Putra Brand Awards. For more information, please visit the official site at www.starbucks.com.my or check out our Facebook page at http://www.facebook.com/StarbucksMalaysia/ and through the Starbucks Newsroom. Busy parenting lifestyle, didn't stop me from taking care of myself. 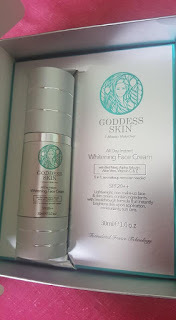 Now sharing is caring, this is latest skincare products by Goddess Beauty. · Formulated France Technology. Specially lightweight, non make-up face & skin cream. · Contain ingredients with breakthrough formula that instantly brightens skin upon application, moisturizing & sun care. 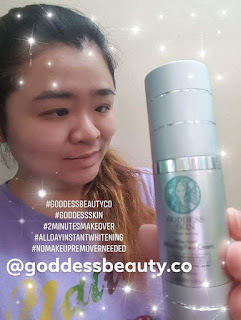 · Whitening Face Cream with Bird Nest, Alpha Arbutin Bearberry, Aloe Vera, Vitamin C & E .
Yeah looking at this small bottle, I like it very much as convenient to use just a small amount needed.One pump and equally spread it on my face, you can view the above video on how I used it. You can also applied this on neck. 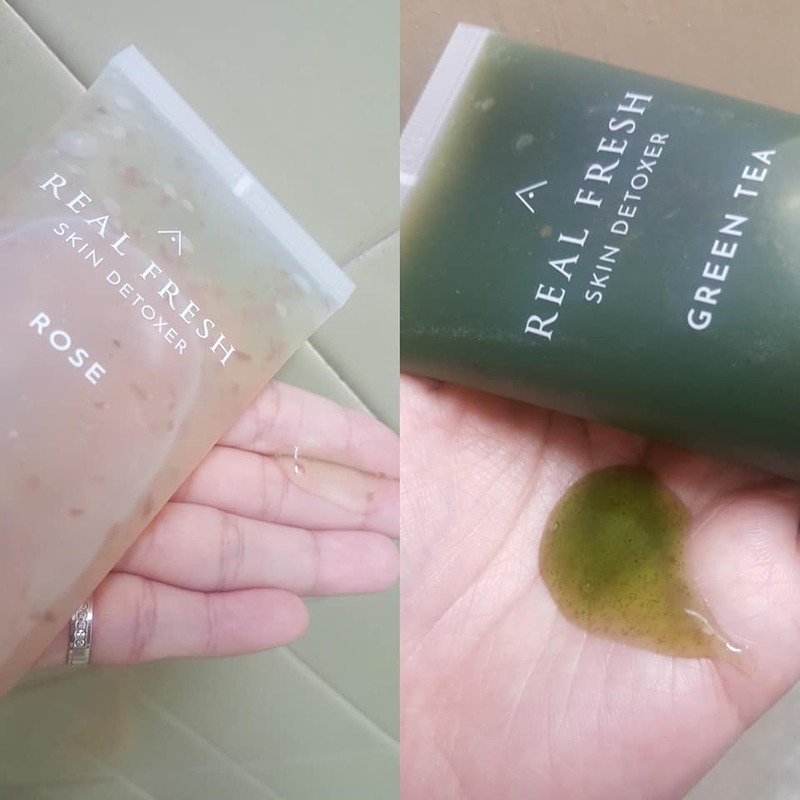 I didn't feel any irritation on skin after using it. Simple and easy for me to use as busy mom life, good to have this as a 2 minutes makeover anytime, anywhere. Everyone has got a busy lifestyle, don't forget that we need to take care of our skin too. The skin is our largest organ and changes constantly throughout life. In fact, skin will regenerate itself approximately every 27 days. Proper skin care is essential to maintaining the health and vitality of this protective and essential organ. 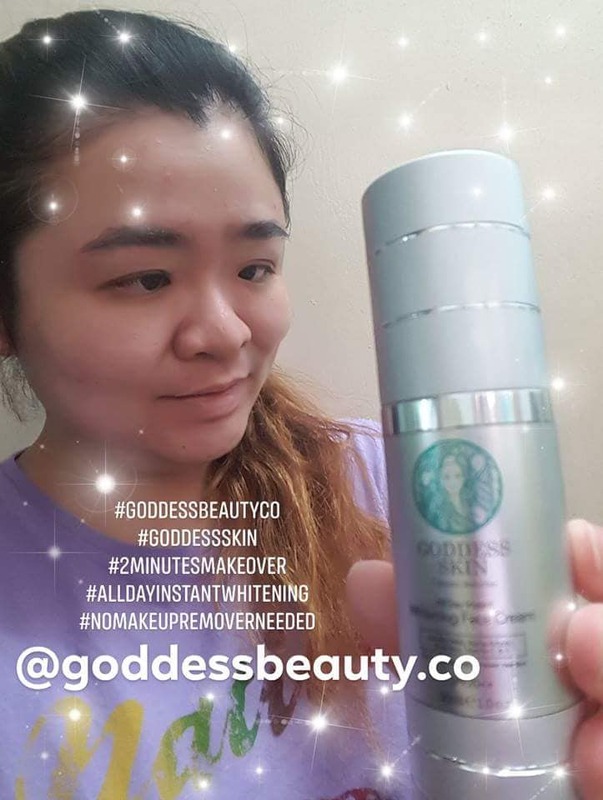 Harsh environment and nutrient deficiencies can have an impact on the structure and function of skin and may contribute to skin irregularities such as dry skin. 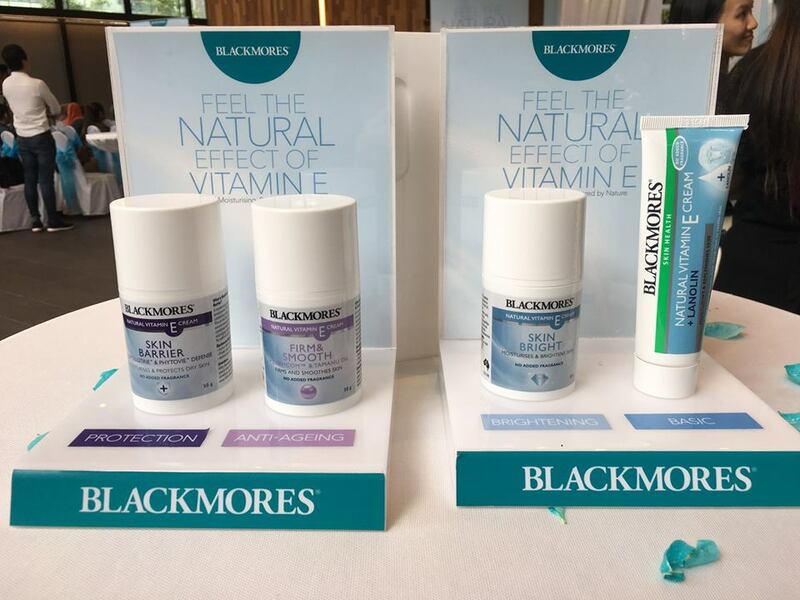 Leading natural health supplement brand BLACKMORES recognises the importance of healthy skin and has therefore introduced a range of high quality natural skincare products catering to different skin needs . “Lanolin has a very similar function to our skin’s natural sebum. Both lanolin and sebum form a protective waterproof barrier on the skin and act to protect the skin and keep it from becoming dry, brittle and cracked by dehydration”,Kwa adds. 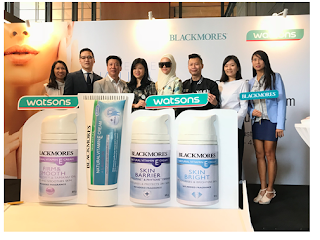 “We knew consumers were looking for alternatives to skin creams that had chemicals as the foundation , so the brief was to make a high -quality nourishing skin care cream based on natural ingredients. The base of the product had to be natural, so avocado and apricot kernel oil were chosen with a special mixed tocopherol vitamin E blend. Most mainstream products at the time were based on petrochemical- based mineral oils ingredients that didn’t fit with the natural skincare philosophy”, says Kwa. BLACKMORES Natural Vitamin E Cream + Lanolin is a rich and soothing cream which helps to deeply moisturise and protect dry skin. Itcontains natural sources of vitamin E,7% natural lanolin,avocado oil, apricot kernel oil and vitamin A.This cream helps prevent moisture loss by locking moisture into skin and is suitable for both body and face. which help to promote the appearance of a brighter complexion while vitamin A and oils of avocado and apricot kernel help to nourish and smooth the skin. u (Calophyllum inophyllum) seed oil that contains fatty acids (including calophyllic acid) which are emollient and function to fill in the cervices of fine lines, increase skin softness and smoothness, and improve the overall appearance of skin. 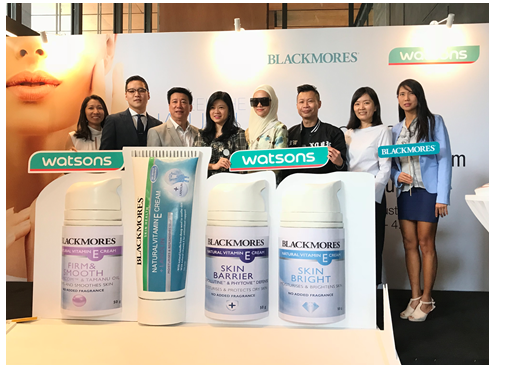 Blackmores Vitamin E Cream is exclusive available at Watsons.